More Young Thug tracks surface on the internet than he actually himself releases officially.Today, another new song from the talented Atlanta rapper called ‘Yes Indeed’ has surfaced online. Thugger fans might remember this tweet from the rapper where he was previewing and rapping to the track back in 2015. It was tentatively titled ‘Big Ol Blood’ by fans, who had been eagerly waiting for it to come out,The full song is now here for your listening pleasure. It is produced by London On Da Track. 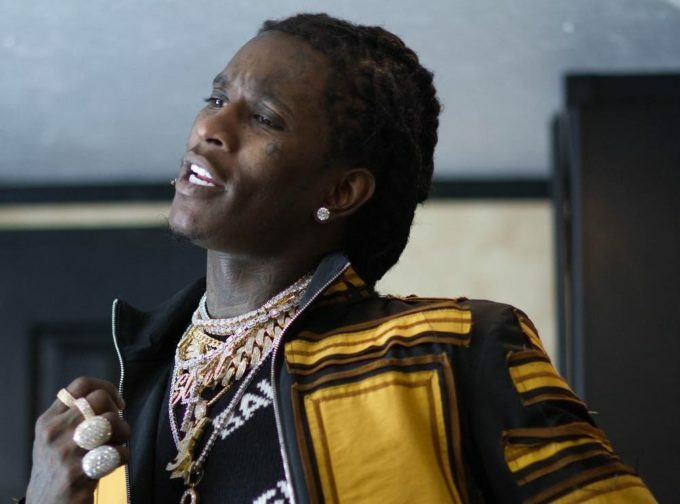 Young Thug’s music, it’s safe to say that Alex Tumay also has to deal with a fair bit of controversy, as the ATLien himself is somewhat of a controversial figure. While the “shock” of Thugger’s squealy, auto-tune rapping and his outlandish style has mostly worn off, it seems that there are still some who refuse to give up the fight against auto-tune.